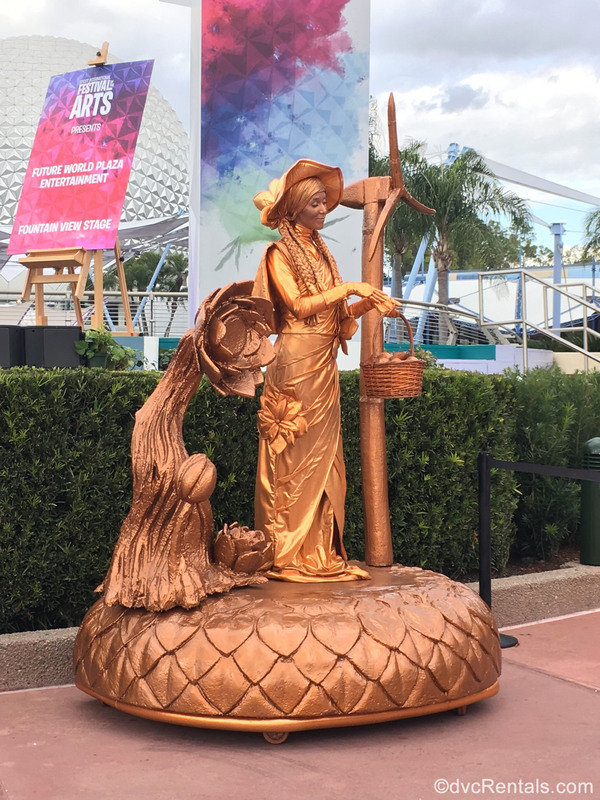 The Epcot International Festival of the Arts is now in its third year. It began on January 18 and the last day will be February 25. While I enjoy all of the special events at Epcot, this festival has become my personal favorite of the four that are held at Epcot (the other three being the Epcot International Flower and Garden Festival in the Spring, the Epcot International Food & Wine in the Fall, and the Epcot International Festival of the Holidays that takes place mid-November until the end of December). There is so much to do for the entire family; I wish Festival of the Arts was longer than the just over 5 weeks it lasts. As you go through the turnstiles to enter Epcot, you will see a beautiful character display in the front of the park. 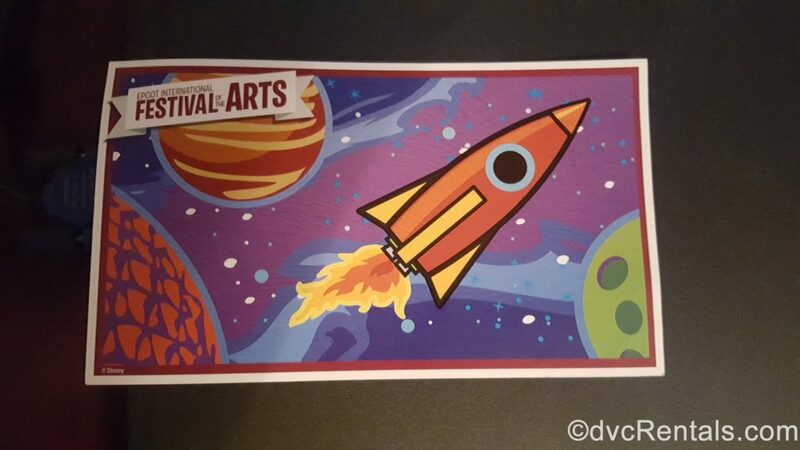 You will notice that it’s very colorful, just like the symbol for the festival, (which is a splash of beautiful watercolors with the outline of Spaceship Earth in the background). 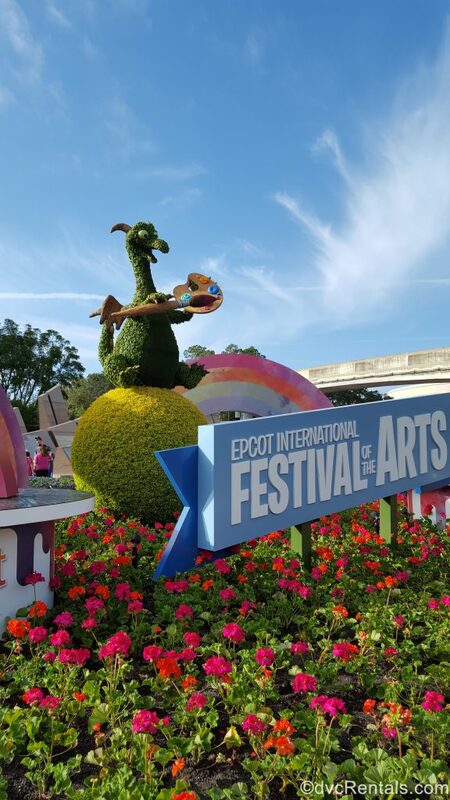 This year Figment is the “mascot” of Festival of the Arts, so there he is up front, bigger than life, as a topiary holding a painter’s palette that is dotted with dabs of paint. Figment is surrounded by beautiful flowers as well as displays of rainbows created by Disney Imagineers, which appear to be spouting from cans of paint. Lots of photo ops here! 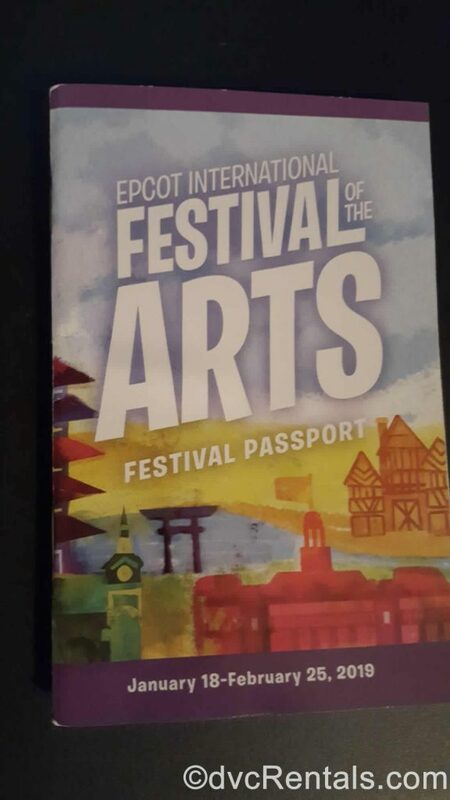 If you plan to attend the International Festival of the Arts, I strongly suggest you grab an Epcot Times Guide, as well as a Festival Passport and a Park Map when you enter the park. With all there is to offer, it’s easy to leave something out, the Map, Guide, and Passport contain all of the available options. The Passport also contains stickers you can use to remember all the things you experienced at the Festival. If you forget when you first arrive, there are many other places throughout Epcot to obtain all 3 items; if you have problems finding any of them ask a Cast Member to direct you. The majority of things to do and see takes place in World Showcase, but Future World also has some unique opportunities during the Festival. There are Living Statues in front of the “Fountain Stage” located on the far side of the big Fountain in the middle of Future World (next to the huge merchandise store called Mouse Gear). These are statues that look like they are made of solid metal until suddenly one or another moves! On closer look, you realize that they are performers dressed and painted to look like metallic statues. They do an amazing job and guests are welcome to pose with them. Check the times guide for the above acts, as performance times can vary from day to day or week to week. If you continue straight ahead, you will come to chalk art on the left side of the sidewalk between Future World and the World Showcase Plaza. 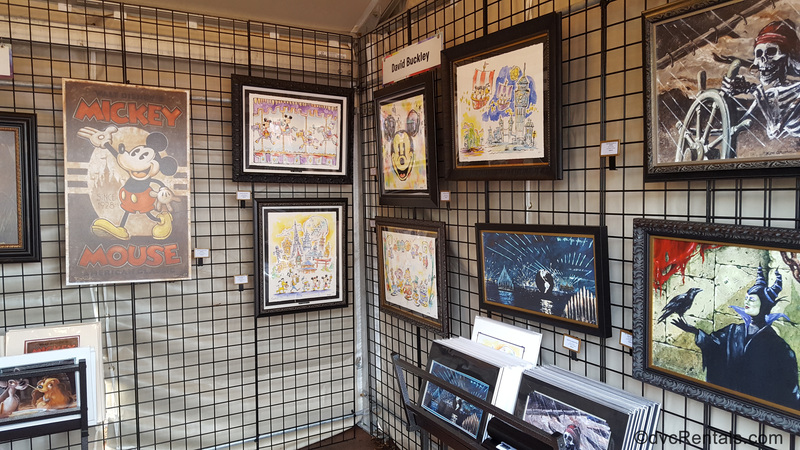 These are done by Disney artists; some are done with help from a guest. These only last until the next rainstorm; once they are washed away new chalk drawings will take their place. “Drawing on Inspiration”: Disney Artists explain what inspires them to draw. Times vary; check the guide the day you are there. If you recall the Animation Academy at Disney Hollywood Studios, a very similar experience is offered at the Odyssey. Guests sit at long tables with paper and pencils laid out in front of them, while a Disney artist shows you, line by line, how to draw a Disney Character (characters vary). Even if you have no drawing talent (like me! ), you will be amazed at how well your picture will come out if you follow the instructions of the artist. This is done a number of times each day, check the times guide. Workshops: Usually held Fridays-Mondays at 1:30, you can create something original to take home. 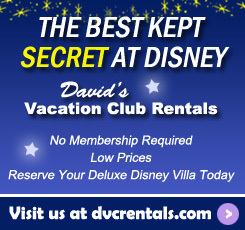 Led by a Disney artist, you can book this by calling 407-WDW-TOUR. 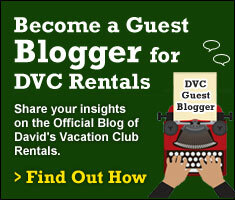 The price is $39 per guest. Topics vary. 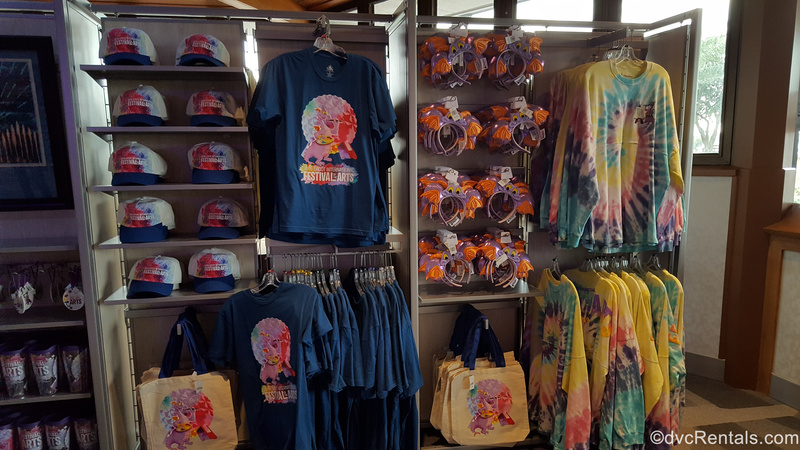 Merchandise: Although you will find Festival of the Arts Merchandise throughout Epcot, the largest selection is at the Odyssey House. Food: The Painter’s Palette is located here, with some awesome choices including (but not limited to) Smoked Salmon with caviar and herbs, Sugar cookies with artistic designs, Croissant donuts with three different flavors (sold together only), White Chocolate Figment. The food at the International Festival of the Arts is outstanding. It is prepared by Master Chefs, the portions are large, and the presentation is beautiful. If you have time, stand by one of the booths and watch the chefs at work, it’s a sight to behold! If you have questions don’t be afraid to ask the chef, every single one that I spoke with was more than happy to answer me and to explain what they were doing. The only food booth entirely within Future World can be found near Test Track. (As a quick aside there is a new family play spot geared towards kids, inspired by Ralph Breaks the Internet, in the same area). 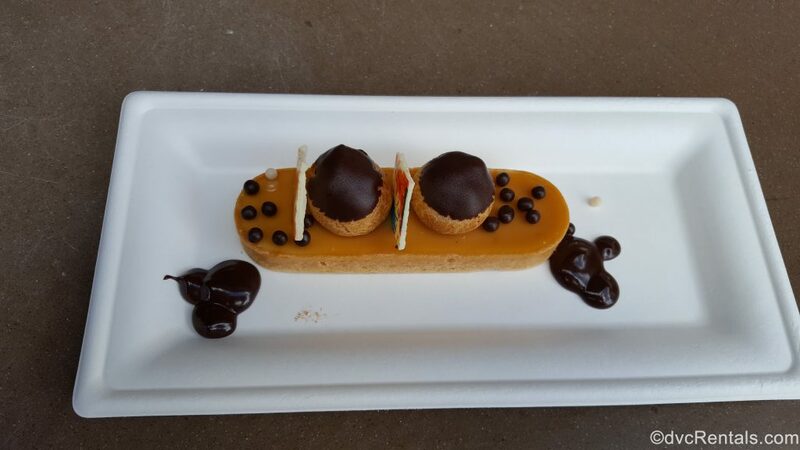 The large majority of the food can be found on the promenade when you first enter World Showcase, as well as around the entire World Showcase Lagoon. The International Festival of the Arts Passport I mentioned earlier, in addition to having information on all the events at the festival, also has each food booth listed, along with what is served. I suggest you look the options over and decide in advance what you would like to try, especially if you are only attending one day. As noted above, the portions are generous; you won’t be able to try everything unless you are able to go to the festival multiple times. If you know in advance what looks most appealing to you, you won’t regret filling up on something else. Everyone’s taste is different, but my favorite item of all was the sushi “donut” at the booth in Japan. (There is no actual donut. 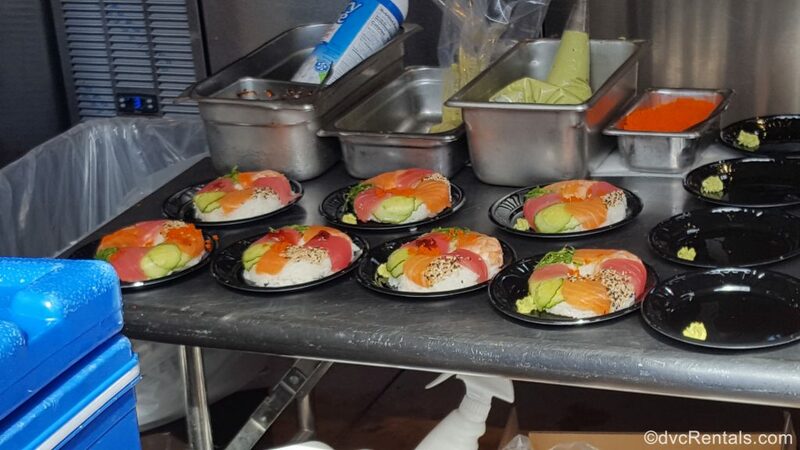 The rice is shaped like a donut, with salmon, tuna, shrimp, and avocado on top of the rice). I think this is my favorite dish of any of the festivals ever, and it’s new this year. A returning favorite is the Chicken Roulade at Pop Eats at the Showcase Plaza. I also really liked the deconstructed Rueben at the kiosk on the Plaza called The Deconstructed Dish. 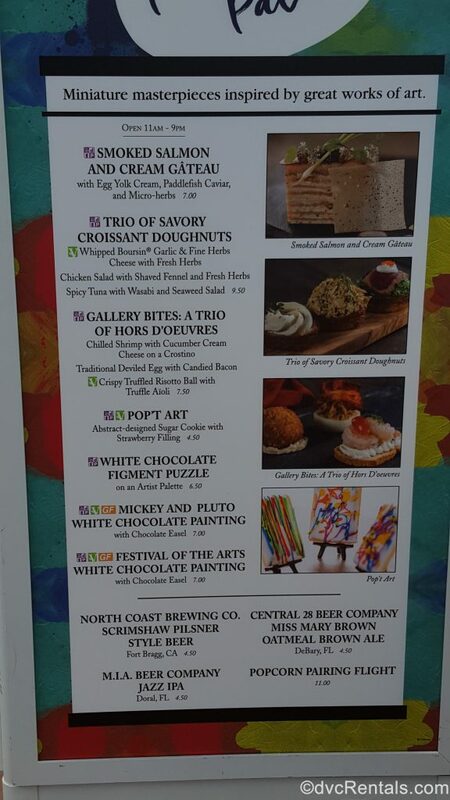 The dessert I enjoyed the most was the Saint-Honore Carmel tart topped with mini cream puffs at the Germany booth. Expression Section: This is a mural that has numbered squares on it. Each number corresponds to a paint color. A cast member will give you a color and tell you to color in two squares containing the number that your paint was assigned. 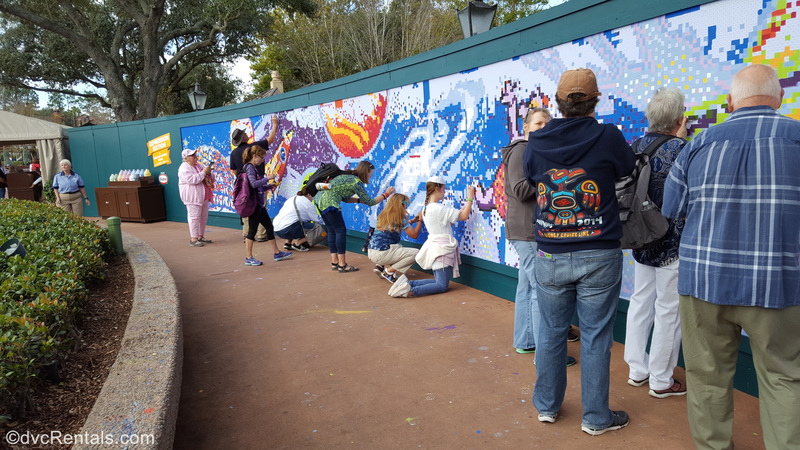 It starts out blank and by the end of the day, there is a beautiful Disney mural completed by the guests. After you fill in your numbers, you get a nice (free) souvenir card on the way out. PhotoPass Photographers: There are special magic shots for the Festival, as well as signs decorated with the Festival logo for guests to hold while they pose. 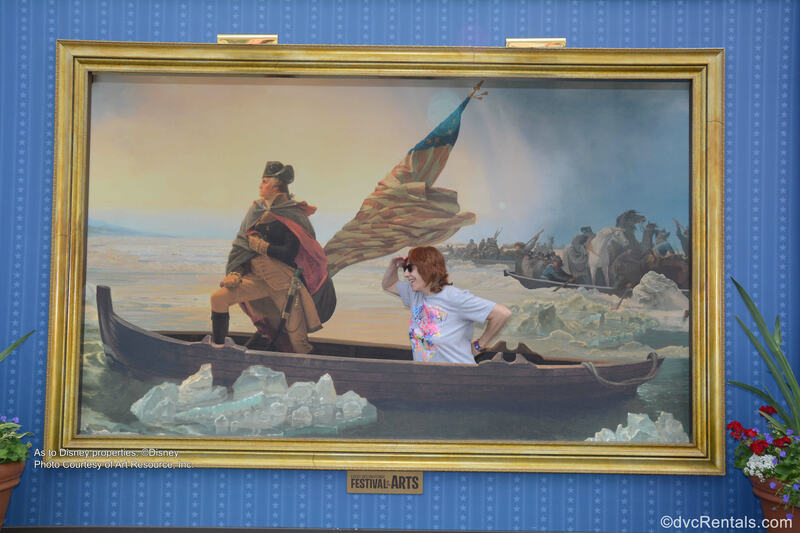 Photo Booths aka “Artful Photo Ops”: There are a number of booths that have famous paintings on the front of the booth. Guests enter the booth and become part of the painting. This is a lot of fun, and the whole family can be included. “Figment’s Brush with the Masters”: A Scavenger hunt looking for Figment “hiding” in various spots in World Showcase. There is a small fee for this, guide maps with stickers are available at the Odyssey House, Disney Traders and World Traveler (located by the World Showcase Promenade entrance), or at Pin Central (near the front of the fountain in Future World). MANY (more than I have seen in past years) booths are offering works of art, as well as jewelry and more for sale. A new booth this year is based on musicians. 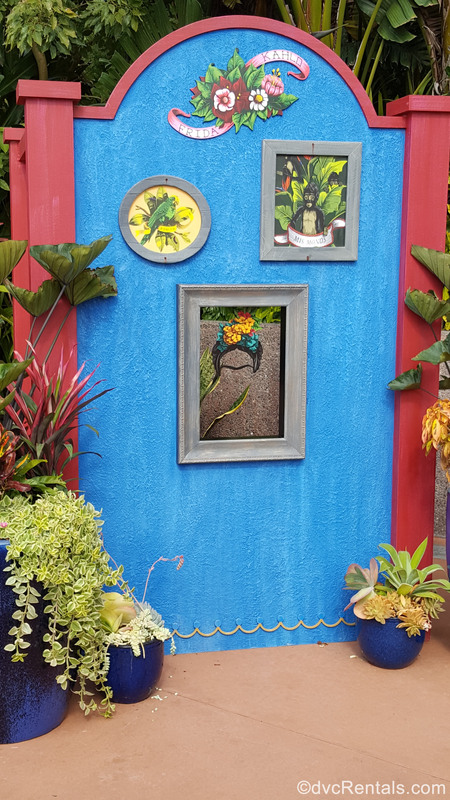 It contains many types of art and is sponsored by the Orlando House of Blues. There are quite a number of meet and greets with Artists, check the times guide to see who will be there when you’re visiting. Disney On Broadway Concert Series: Daily at 5:30, 6:45 and 8PM at the America Gardens Theater (across from the America Pavilion). Broadway stars perform Disney songs; the songs and singers vary, so again, check the times guide. This may be the longest blog I have ever written, but there is so much to do I didn’t want to leave anything out. 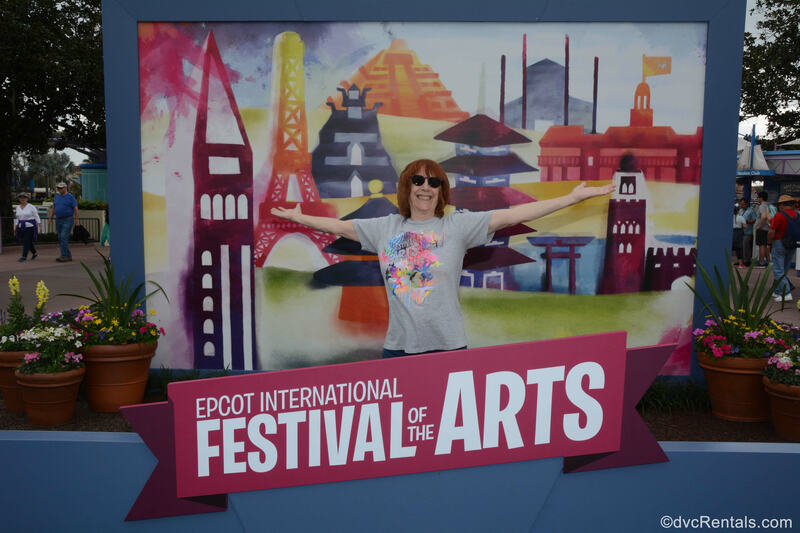 I hope you get a chance to experience the International Festival of the Arts this year, but if not I sure hope Disney continues to run this festival annually, and eventually you are able to give it a try. I highly recommend it!